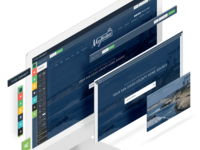 The Canvas CMS Platform is the ultimate professionally supported digital marketing platform. 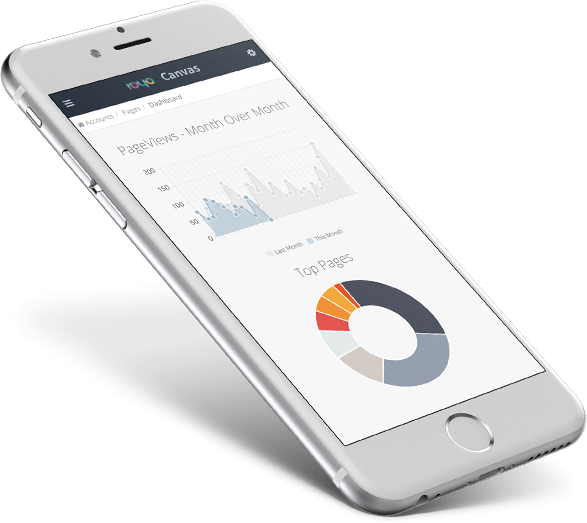 The Canvas CMS Platform is developed to power both responsive websites designed for conversion and digital marketing campaigns. 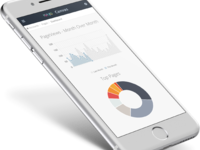 Within Canvas you can create dynamic landing pages, launch digital campaigns, monitor analytics, manage contacts within the CRM, send email campaigns and much more! Pros: This software makes course management easy. I have used Canvas both for academic course offerings as a college professor and also for training modules within a professional position. Canvas allows you to easily organize content, upload files, video and videos and link to external content. It's easy to create quizzes and exams and many custom options area available. It's easy to set due dates and to track who is logging in and how long they are spending on material. You can also conduct discussions and peer reviews. Due dates and easy to set and the gradebook is easy to utilize. Cons: It can be hard to create things that are visually appealing if you aren't a course designer with code knowledge. Setting up a course or training module takes considerable time (but that is to be expected). You have to use the product for a while to truly understand the functionality and how to make it work bestfor you. Overall: I have used Canvas successfully both as a course management system for my class (I am a college professor) and also for training modules for professional positions. I have found Canvas to be a simplified way to organize information that is easy to update. Pros: Canvas is far easier to use than its competitors. It is fairly intuitive and attractive. I don't teach remote courses at present, but its format works very well as a supplement to classroom work. Cons: It can be draining to set up assignments in Canvas, especially when one is (as I am) teaching multiple iterations of the same class. While it is possible to import assignments from one class to another, this is often a draining and confusing process and I ordinarily opt for simply re-creating the same assignment two or three times. Overall: Canvas is fantastic and very flexible--though this often puts pressure on me, as a professor, to put extra time into designing the site (often time I don't have). Overall experience has bee very good, response times from staff are good with great follow through. Pros: The individuality of it, the ability to constantly change, adapt and upgrade our site. The pop up box calling out a special or event on the home page. Cons: Somethings that I would like to be able to change/update myself on certain pages seem complicated even after viewing the "help" on them and I am worried that I will mess that page of the site up and not be able to undo it. Overall: Individuality and a team that can consistently help with issues, planning, managing and designing our site and posts. Pros: The UI is fairly simple and easy to understand. There is also a lot of customization available to instructors. Pros: Options and features- there are a lot of customizable options available to make the look and feel inline with what is needed. Things can be changes out quickly and easily. Pros: The customization features. Canvas does a nice job allowing users various options in order to customize their classes to their needs. You can pretty much arrange your course and materials any way you want. I like that small group feature to build collaboration and open dialogue. This is great when doing socratic seminars, online discussions in modules, jig saw or fishbowl activities in the classroom, etc. Plus, it affords you an opportunity to send materials discreetly to specific groups of students. Great for personalizing instruction. Canvas also allows for embedding of various third party applications. Great way to tie everything into one place. Cons: I love the ability to gamify learning modules for students or integrate self-paced learning. This is missing with Canvas. The ability to set completion settings or award badges who add another element to the platform. that is missing currently. Overall: This is a great LMS , with a great design/layout, a variety of features, and truly capitalizes on the collaborative aspect. This is truly geared toward k-12 education and is an effective choice to schools. Pros: I've used canvas both as a student and instructor , I like that is user friendly , very straight forward in creating lessons and assessment. The ability to import content from other LMS such as Blackboard and Moodle is a big advantage . I think it would be a smooth transfer for those who want to switch . Pros: Its very cross platform friendly. I could easily enter grades and communicate on both my phone and tablet. Cons: Poor excel integration. The software cannot import data from excel into its database effectively. Overall: Very pleasant upgrade from the previous online class management software. Pros: What I most like about the software is its navigability. I want any prospective patient to work easily with our company. Cons: There is nothing at all that is not likable. If I had to choose one thin it might be the fact that there is nobody physically in our area. That has not been a problem however. Overall: It helps us market ourselves in an efficient and professional manner. Cons: I haven't been able to do ANYTHING myself. I have to contact THEM to even add a photo. Cannot find a decent tutorial even. Pros: I think canvas because it as easy to use as any collage app and a small professional as photoshop. I used to have to take 2 hours out of my day to create a simple but creative flyer for my events, but with canvas I create flyers fast and effective. The easy Drag and Drop function helps soooo much. They easy to use layout/template can be customized and best of all its free if you don't require upgrades. I use it once or twice a month so the free option is within my budget. Cons: I suppose my only con is the upgraded part. But this software really works well. It's effective and useful. I couldn't t find the undo function but maybe that's in upgrade. Overall: I liked the software overall. I didn't have to learn much to use it so it's very user friendly and fast. Mostly easy for me to make changes, support is great if I need assistance! Pros: Ease of use - for most of what I want to do on the site, I'm able to accomplish in a fairly efficient manner. Technical support has been great for when I'm not able to be successful on my own. Cons: I feel that the interface could be slightly more intuitive. I'm fairly computer savvy, but some of the flow to update to our website seems awkward. 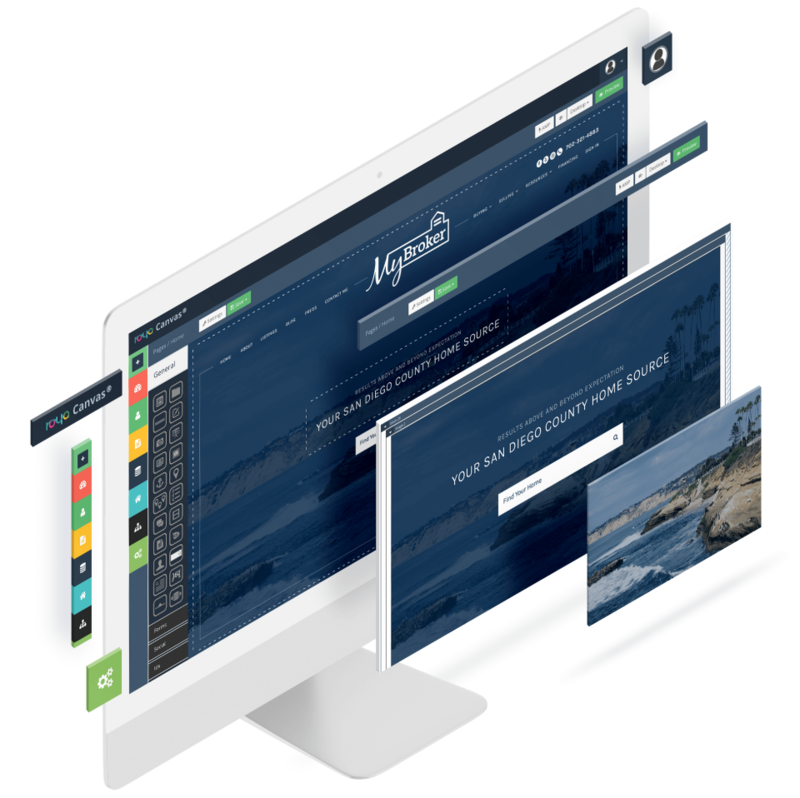 Overall: A website that is attractive and relatively easy to update. I'm pretty new to Canvas, but so far so good! Pros: After a brief tutorial, seems pretty easy to use. I love how I am able to edit photos right in the software! Cons: It did take a brief tutorial to learn how to upload files/pictures and how to edit photos. Not quite as easy as just playing around with the software to learn it. Pros: I like the ease of use and access most about the product. I also like being able to review the page prior to publishing. Cons: I do not have any issues with the software. I believe that it is easy to use and helpful for us to access our website.